I know the picture is not great but she got cranky when Jack and I came in..I snapped and ran so as to not disturb the peace any more than that. 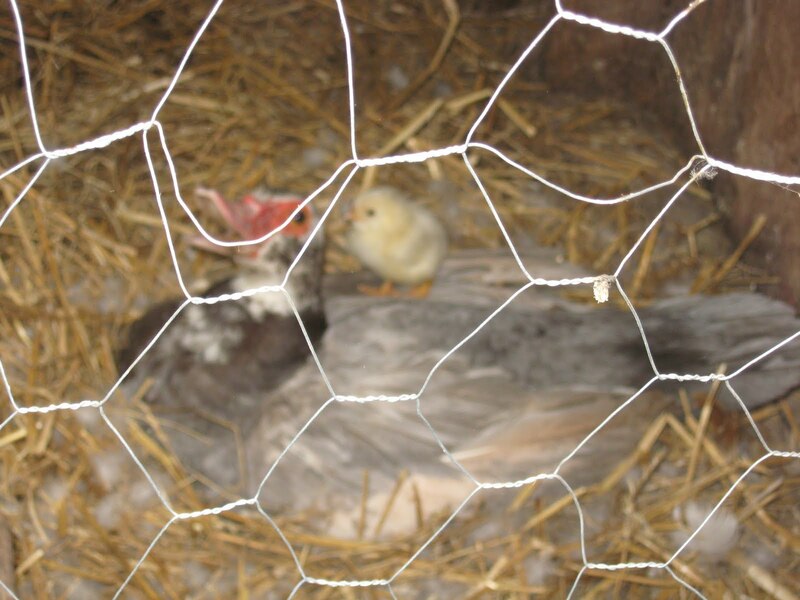 I have to tell you that I put some extras in her nest last month when I saw no one else was bothering to cluck…. Oh how cute Shirlee..will she have more chicks or ducklings ? ?…soooo jealous.